If you’ve been searching for INFINITI service or car repair in Edison but don’t know where to look, let us help. 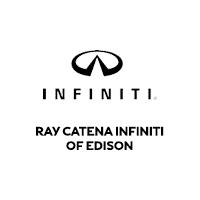 You trusted the automotive experts at Ray Catena INFINITI of Edison to help you find your new INFINITI QX60, Q50, QX80, Q60 Coupe or Q60 Convertible…You may have even turned to us for some help with INFINITI financing…So why would you turn anywhere else for help with your car maintenance? Here at Ray Catena INFINITI of Edison, we staff an onsite auto service and repair department at our Edison, NJ showroom. Proudly serving drivers from the surrounding Woodbridge, Staten Island, and Old Bridge areas, we’ve become well known for highly trained auto service technicians, state-of-the-art equipment and, of course, our stellar customer service. Simply put, it all adds up to a headache-free car care experience. And that’s something we think you can definitely get behind. Ready to see what we can do for you? Be sure to fill out our online contact form to set up an appointment at the Ray Catena INFINITI of Edison service center in NJ. We’ll get in touch with you as quickly as possible to confirm.